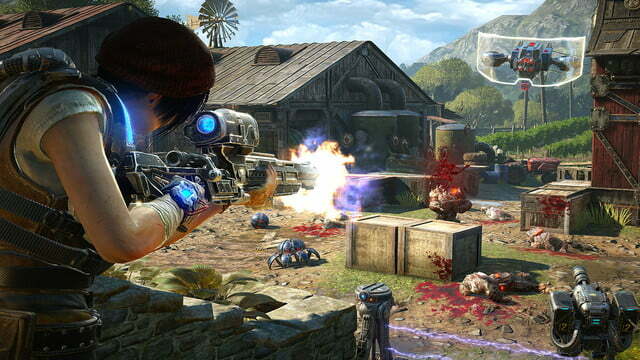 Can you survive ‘Gears of War 4’s punishing new Horde mode? 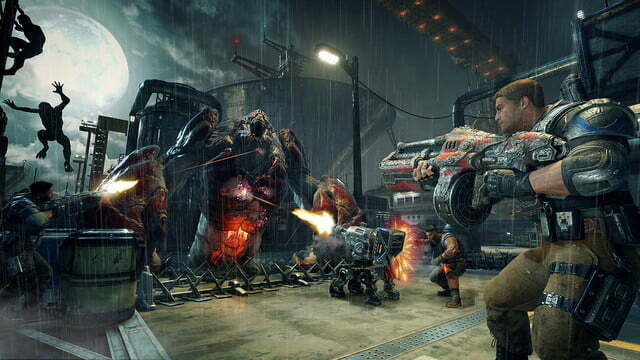 In Gears of War 4, Horde, the cooperative survival multiplayer in the Gears of War series, will enter its third iteration. It’s packed with new class-building features, harder enemies, and a new level of character diversity designed to let people play how they want. But with a daunting 50 waves and four difficulty options, there are going to be a lot of DB and Swarm who want to see you fail. Does Horde 3.0 bring something new to the table, or will it always live in the shadow of the over-the-top Gears campaign? Of the three game modes in Gears of War 4, Horde is the trickiest to define. While the campaign can be played cooperatively with friends, it’s still a linear story with chapters and cutscenes. Horde mode strips away the narrative pretense of campaign and leaves you with nothing but running, shooting, and chainsawing. If you don’t want the story and just want to kill tons of enemies with your friends, this is your best bet. In this version of Horde, you and four friends (or match-made partners) defend the Fabricator, a device magically spawns equipment like a Star Trek replicator, from up to 50 increasingly difficult waves of enemies. During matches, you can use the fabricator to build barricades, turrets, and weapon racks, all by collecting energy dropped by your enemies. As you work with your teammates, everyone will begin to find their groove. 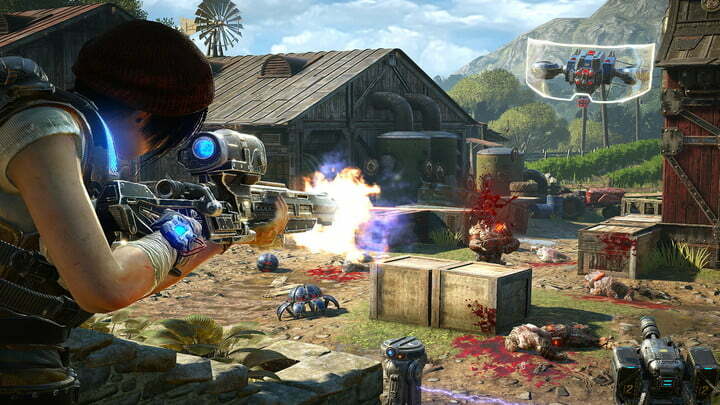 At the start of each match, players choose one of five character classes, such as the sharpshooting sniper and the turret-repairing engineer, which have their own set of abilities and long-term progression. Players also choose a set of skill cards, which are all pulled from packs bought with currency earned in campaign, multiplayer, and horde mode. Generally class-based, the skills convey bonuses that enhance each team-member’s strengths. For example, one sniper card made it so landing a headshot would make the enemy’s head explode, damaging of its nearby friends. Both the cards and classes are upgradable. You can combine multiple copies of the same card to rank them up, thus improving their power. Similarly, as you play more and more with a single class, you’ll level up, allowing you to bring more cards into each match. Meanwhile, the game uses that progression system to adjust your difficulty match by match. Rather than choosing a skill setting beforehand, the game will make the game more difficult as your characters and cards grow stronger. 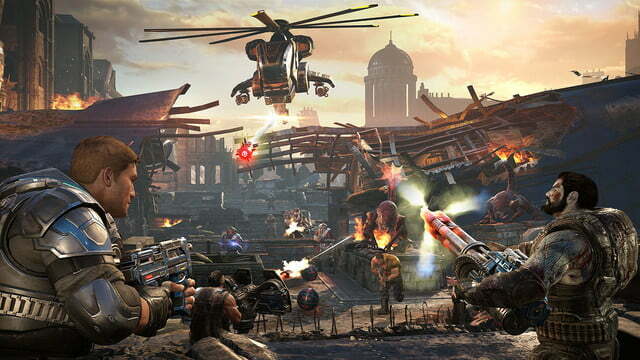 In a game defined largely by co-op, it should come as no surprise that Horde asks you to work together to achieve victory. Of the five classes, it’s definitely necessary to have at least one scout, who receives double energy for each pickup, and an engineer, who can repair your fortifications. The other three classes, soldier, heavy, and sniper, can mostly focus on dealing damage and occasionally reviving teammates. But there’s a bit more to it than that. As you work with your teammates, everyone will begin to find their groove, choosing areas to cover and timing strategies for taking out enemies. Once you find that rhythm, the game will find ways to challenge it, with enemies spawning in odd locations and configurations. 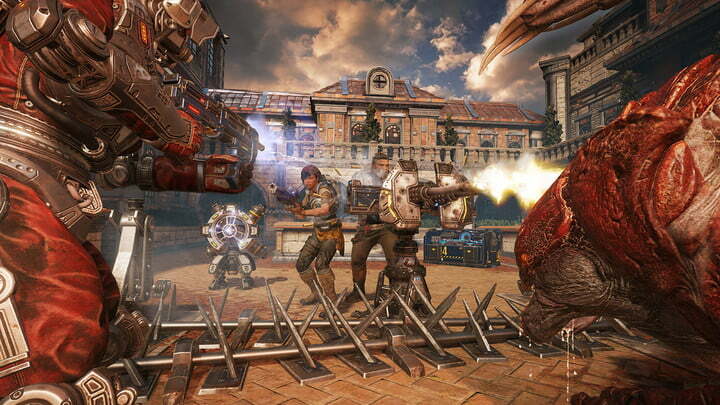 Horde’s new class system adds some much needed variation to the repetitive wave-based gameplay of Horde modes of Gears of War 2 and 3. As the team’s engineer, there was plenty of time to decide where to lay down fortifications, strategies for dealing with huge bosses, and kept all of our defenses up and running. In a subsequent round as sniper, the strategy was totally different, pushing us to hang back, revive teammates, and apply fire at key targets. Our high ground, an advantage throughout the entire match, was also our undoing. At the same time, the card system may feel restrictive to serial Horde players, who will likely be forced to choose one or two classes that fit their playstyle and use those exclusively. You’ll have a friend who always runs around with the shotgun picking up energy, and the other friend who stays at the back and repairs the turrets. After playing for over three hours in a single run, our team managed to reach wave 50. The final boss, a large Swarm creature called the carrier that spews heat-seeking explosives, leveled our entire crew. Our high ground, an advantage throughout the entire match, was also our undoing. Resources depleted, spirits broken, we retired from Horde mode in the least satisfying way possible. But it wasn’t all a loss. 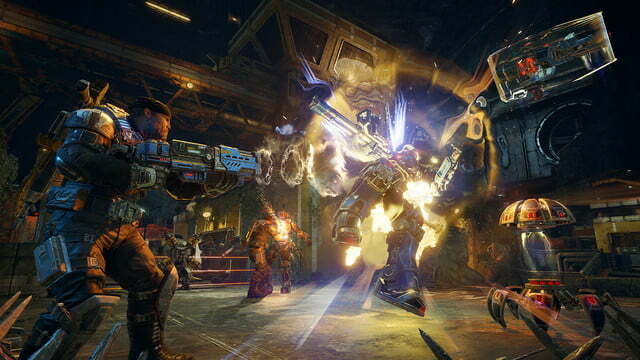 Horde 3.0 is a nice change of pace from competitive online multiplayer, but ultimately seems like a feature most players will eventually grow out of. Close to the Metal Ep. 13: Does MacOS Sierra prove Apple doesn't care about the Mac?